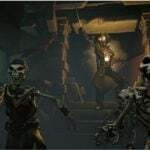 Microsoft has announced that Cursed Sails, the next update for Rare’s pirate-them-up, Sea of Thieves, will sail from its home port as a free update on July 31. Players on all platforms will get this update at the same time. Xbox Game Pass owners will also get the update for free, if you were wondering about that. 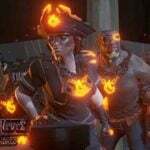 Since the game’s launch in March 2018, it’s had some issues, especially with keeping players interested. Over the last few months the devs have been working hard on pumping out content and bug fixes for the open-world game. Despite some issues with performance at launch, and constant complaints over griefing, Rare seems to have right the ship and delivered on a fun basic experience with this game. With this latest patch, their steering the course of development towards new found wealth and fun. The primary focuses in Cursed Sails feature the potential for PvP and PvE. 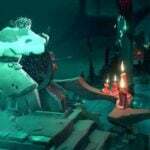 The game will have new Skeleton Ships, AI-controlled pirate vessels that roam the seas looking for plunder. These new craft will be balanced against the average player group, so expect to need to bring friends to take them on. These new ships will only be around for three weeks though as part of an in-game event. But don’t worry, there are plenty of permanent additions coming to the game in this patch. 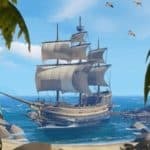 Cursed Sails introduces the Brigantine, a ship geared for trios. The Brigantine has most of the Sloop’s maneuverability but is a bit more spacious like the Galleon. There’s also some story hooks being thrown out as well. The announcement’s update teases that “things are afoot with Sea of Thieves‘ ever-competitive shopkeepers.” We don’t know exactly what that means, but we expect the potential for new missions and factional conflict may be on the horizon. As for PvP, this update will introduce a new alliance system that will allow player groups to cooperate within game mechanics. So if you wish, Cursed Sails will allow you to form actual pacts with other crews. This could lead to some interesting player group battles over resources and rare spawns, if Rare leverage it correctly, which I hope they do. Check out the preview trailer for Sea of Thieves: Cursed Sails down below. 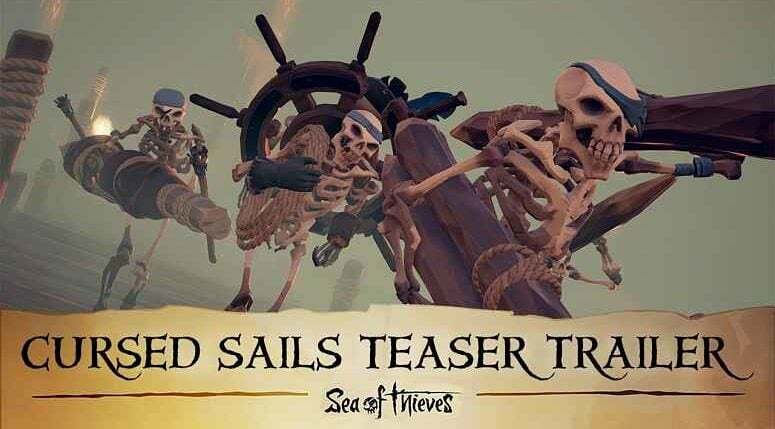 Let’s just hope all the work being put into Sea of Thieves ends up being worth it, we could use some more booty.